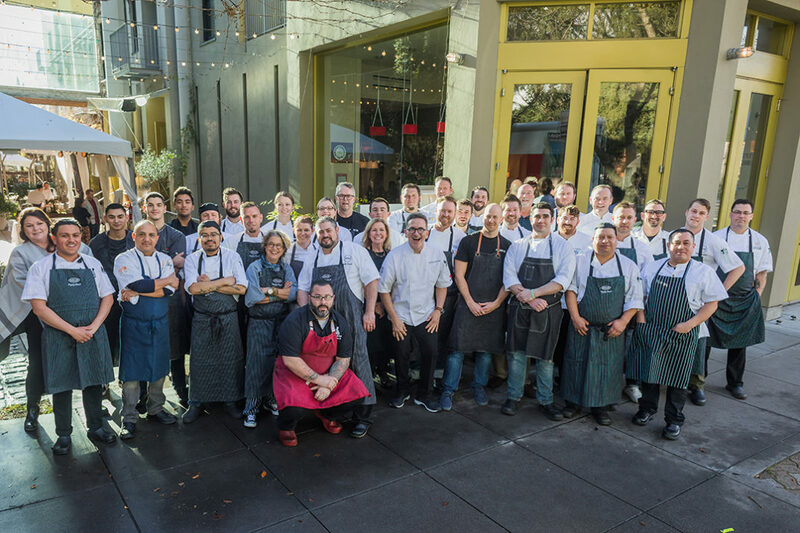 This year marked Chef Charlie Palmer’s 13th Annual Pigs & Pinot Event at Hotel Healdsburg and Dry Creek Kitchen. 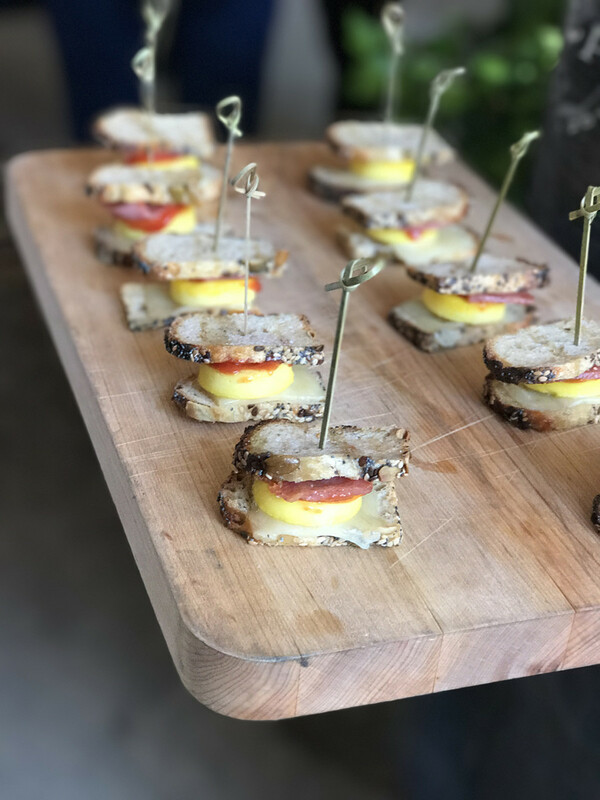 This is one of the most delicious, fun and impactful culinary & wine tastings events I attend annually and something I always look forward to attending and sharing with my readers. 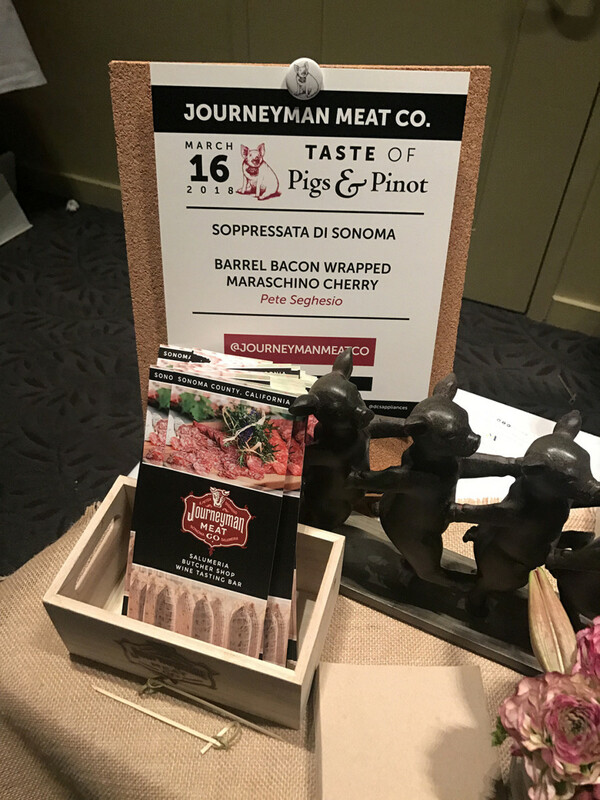 This event has raised millions of dollars for Pigs & Pinot charities, including No Kid Hungry and dozens of Sonoma County scholarships, charities, and need-based organizations. 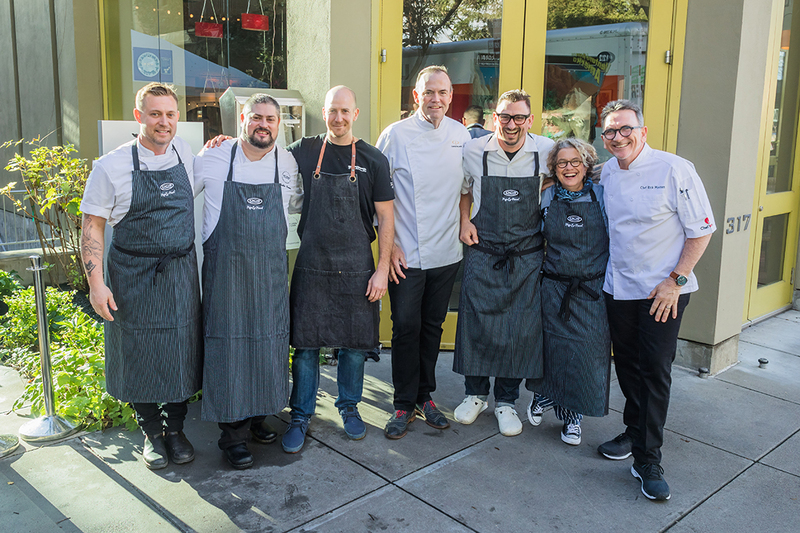 This year’s chefs and winemakers donated their time and efforts to support these wonderful causes while celebrating the very best of pork and Pinot Noir. 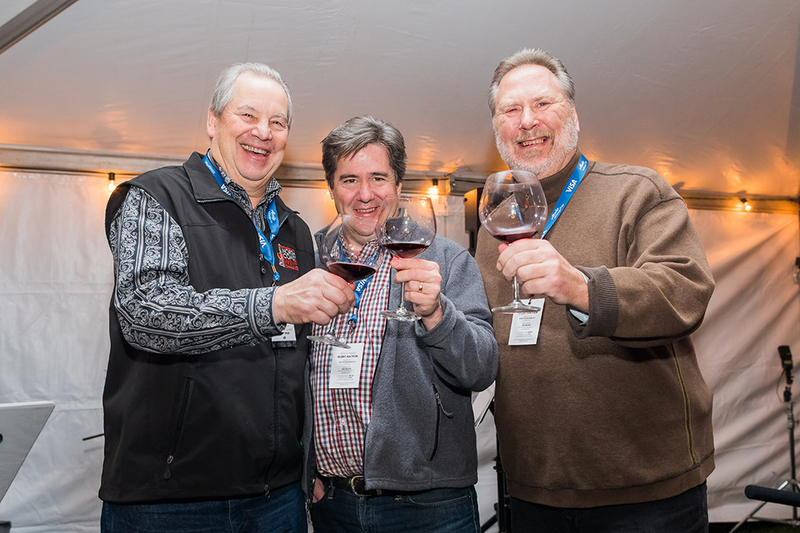 See all of the fun I experienced at the 2018 Pigs & Pinot Noir Event below. 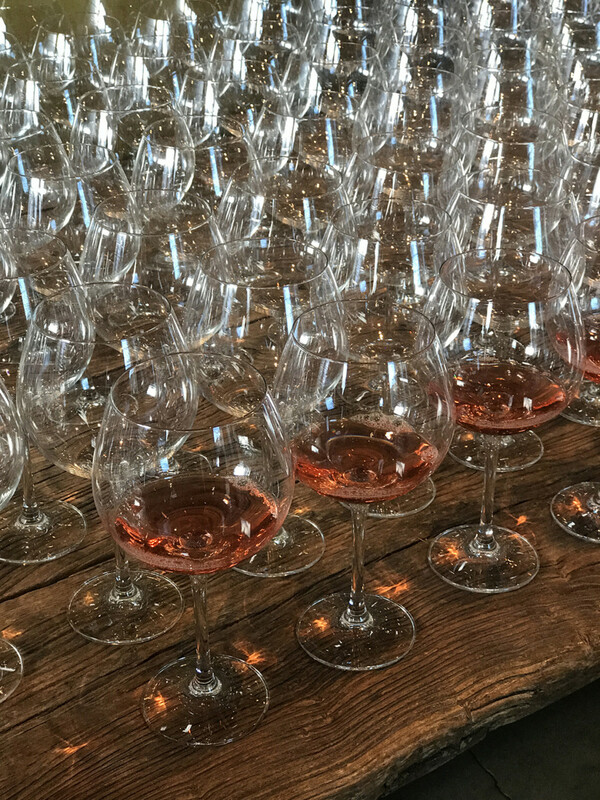 The Rose welcome guests enjoyed upon arriving to Pigs & Pinot. 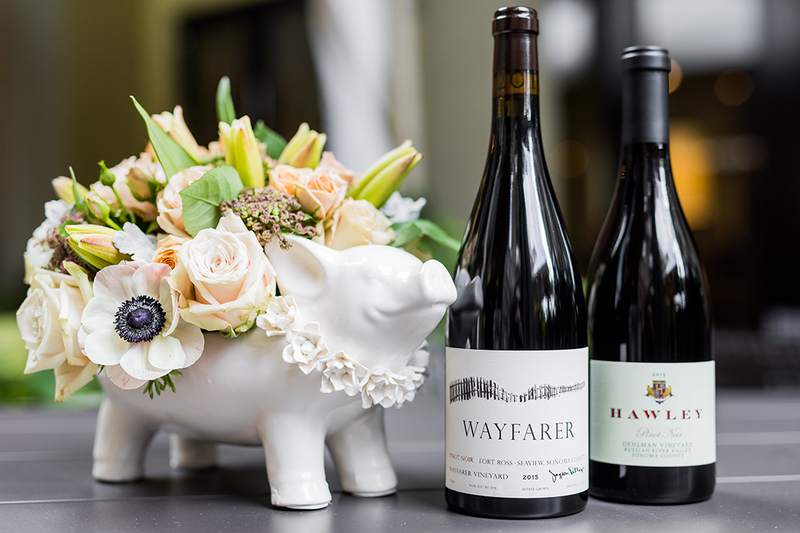 Pinot Cup winners: Pinot Noir from Wayfarer and Hawley. I love it when brands that I don’t already know about (such as these two) win something like this. 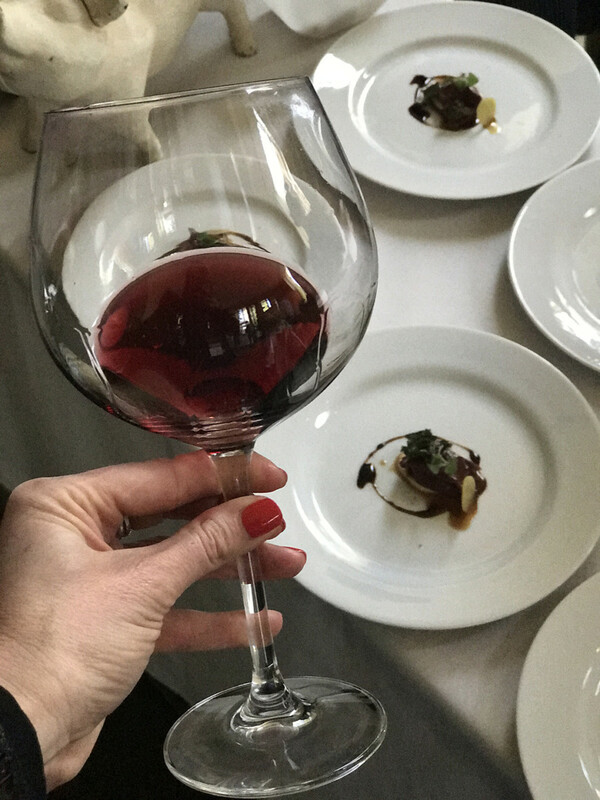 It’s a great way to learn about other amazing wines as well as celebrate excellent winemakers and delicious Pinot Noir wines. Me and our host, Chef Charlie Palmer. 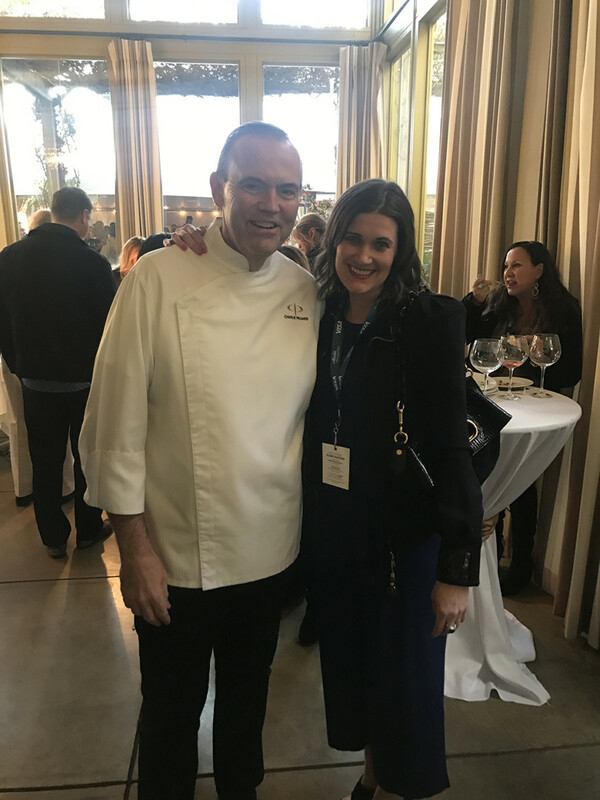 Every time I get the chance to see Chef Charlie Palmer I am more and more impressed by his approachability, friendless and humbleness. He truly is so accomplished, yet remains so down to earth and accessible to his guests during a weekend event like this. 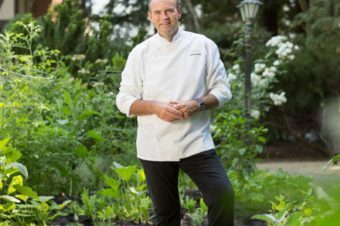 Learn more about Chef Charlie Palmer in my interview with him here. 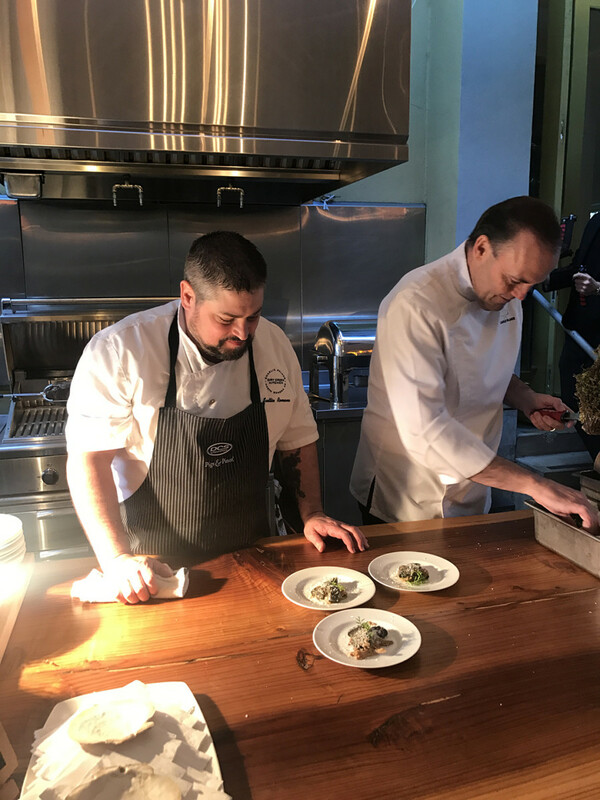 Dry Creek Kitchen Executive Chef Scott Romano & Chef Charlie Palmer hard at work. 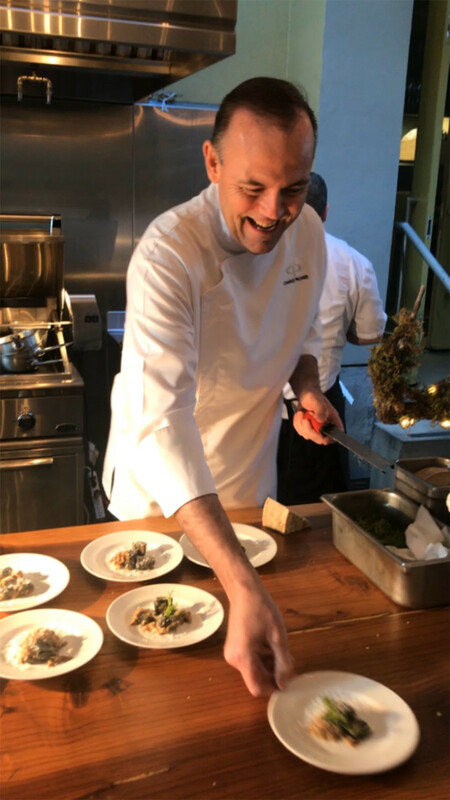 Chef Charlie Palmer having a great time serving guests their delicious dish. 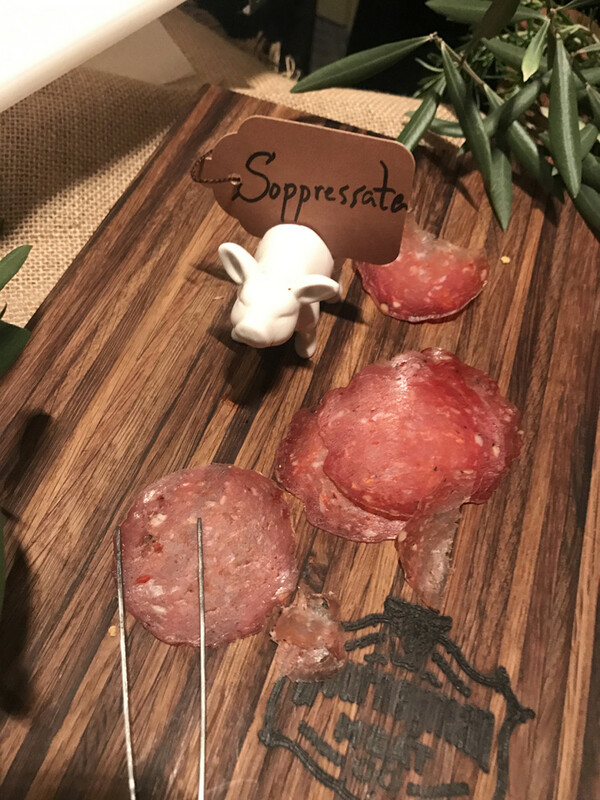 Chef Charlie Palmer and Executive Chef Scott Romano of Dry Creek Kitchen’s Bucher Pinot Noir Pork Shoulder with charred leek-Bellwether Farms ricotta gnudi, charcuterie pan sauce, fiore sardo. This was hands down my favorite dish! I am not just saying that as Chef Charlie Palmer was our host, it was so divine I had seconds, maybe events thirds! I also adore Bucher Wines, a Healdsburg winery from Diane and John Bucher who are incredible, such a perfect pairing! 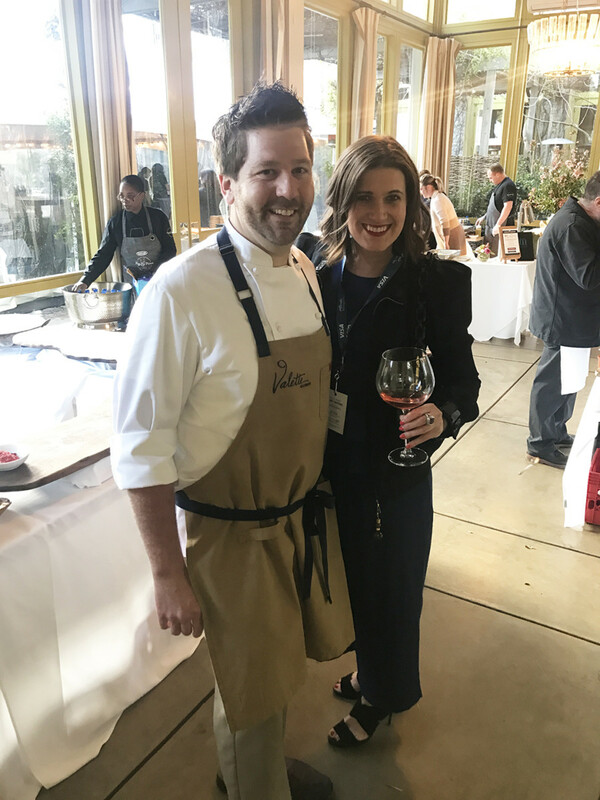 My and Chef Dustin Valette, another Healdsburg Chef with the incredible Valette Restaurant. 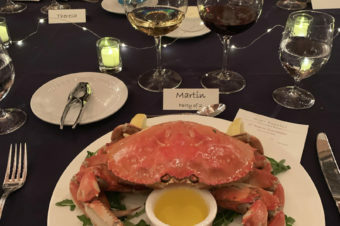 Read more about Valette Restaurant here. 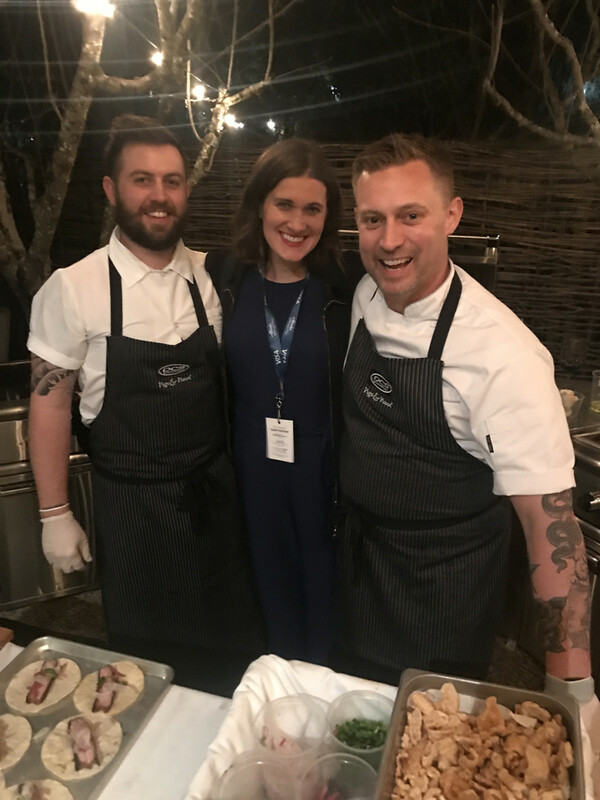 Hanging out with Chef Bryan Voltaggio and his team enjoying their incredible Tacos. 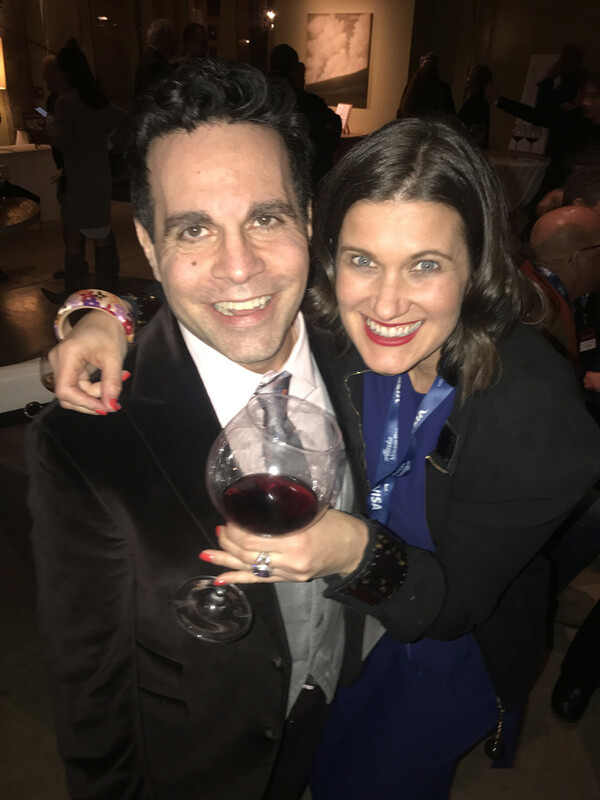 I was thrilled to see another one of my favorite wineries, Stewart Cellars at the event. 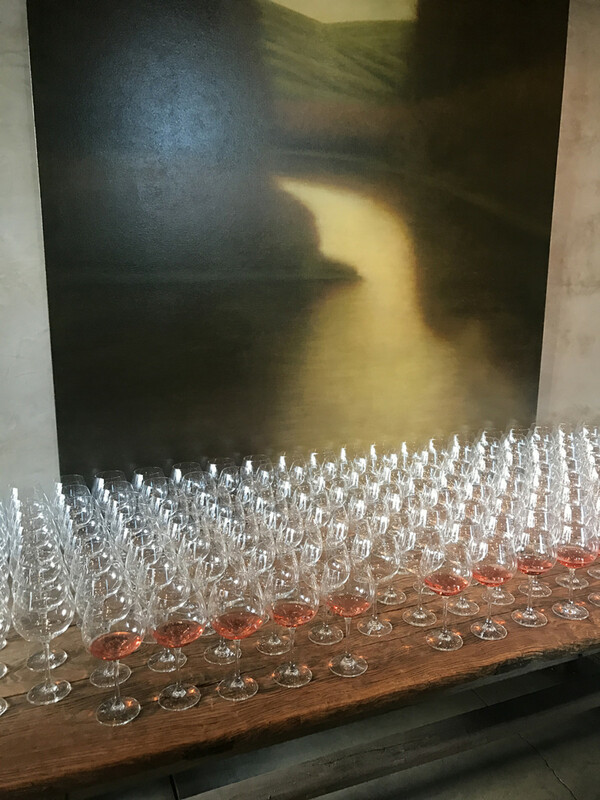 They have a stunning tasting room (which is way more than a “tasting room”) in downtown Yountville. 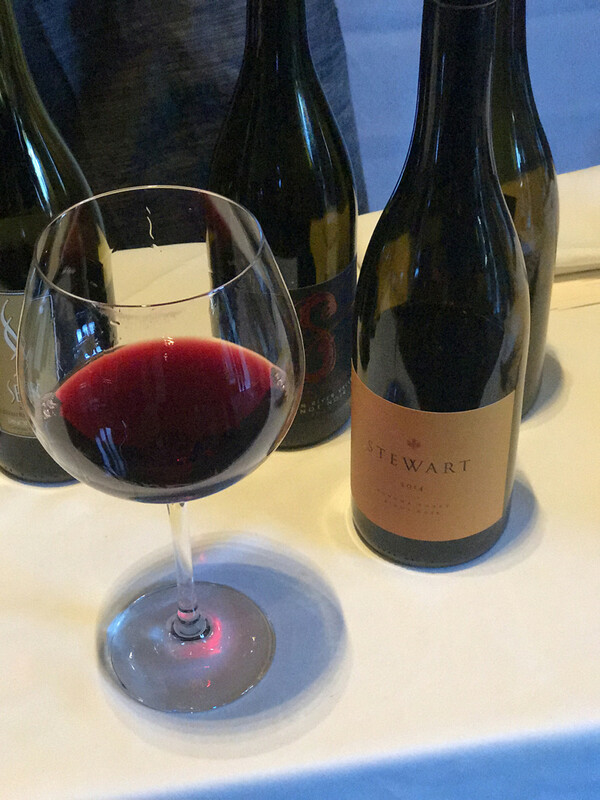 Read about Stewart Cellars their delicious wines and see this absolutely beautiful tasting room on the blog here. 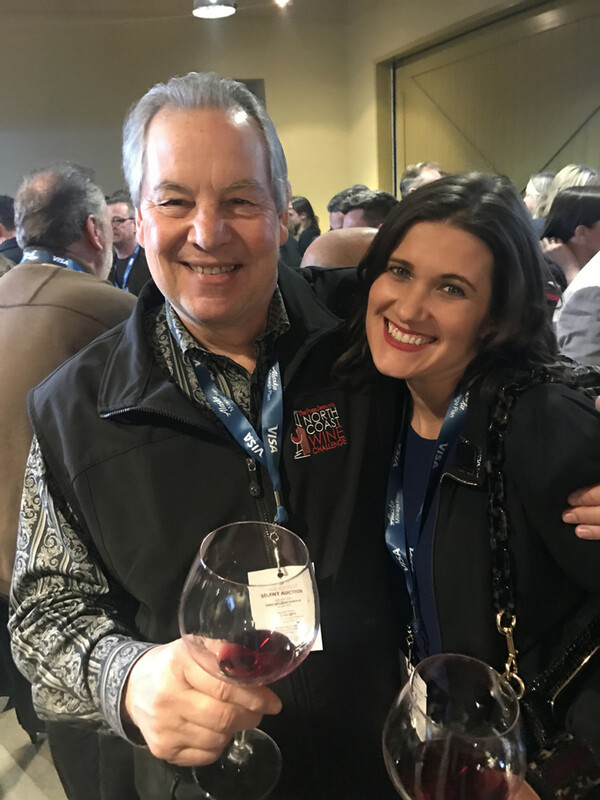 What a treat getting to see and chat with Master Sommelier Fred Dame during the event. He shared with us that he’s heading to Paris soon to film the third Sommelier movie. I love those movies and can’t wait to see the newest one! 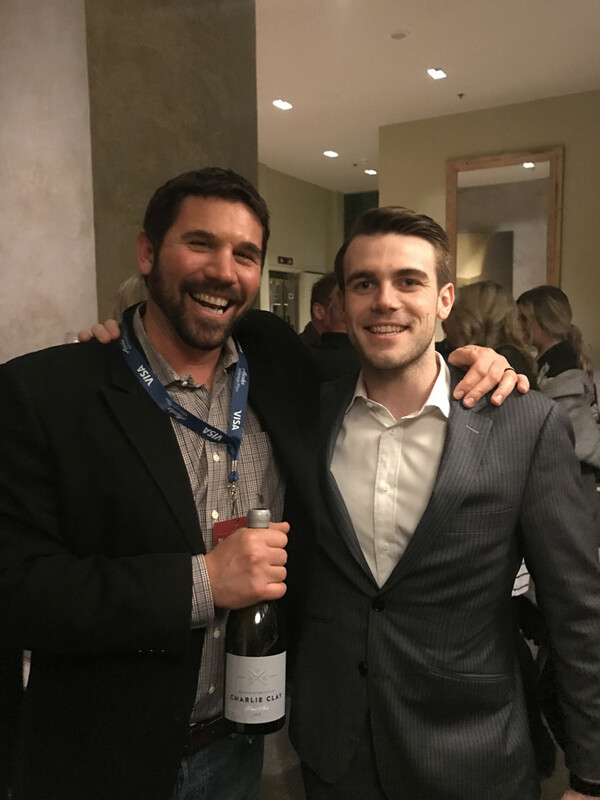 Chatting with Clay Mauritson of Mauritson Wines and one of Charlie and Lisa Palmer’s sons (they have four) while enjoying the Charlie Clay Pinot Noir Wine. I also learned this was a project they did together, hence the name Charlie Clay. Such a cool collaboration! 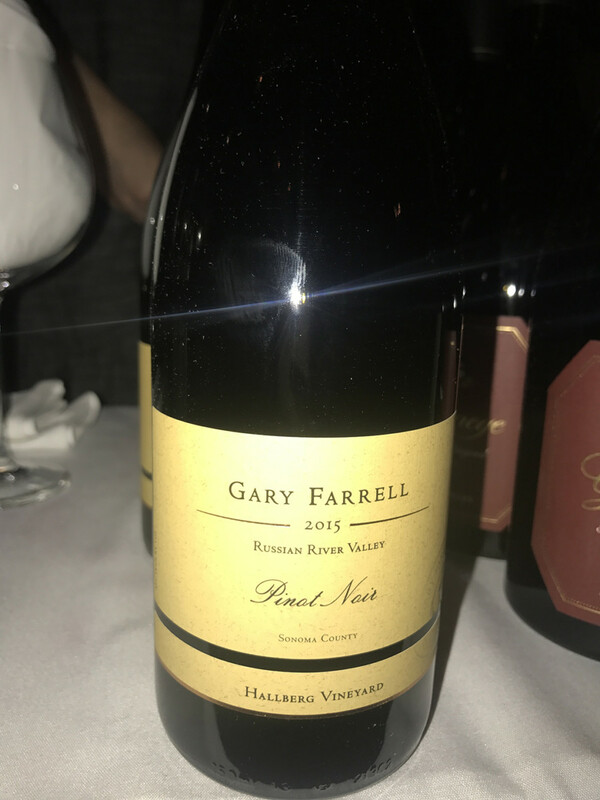 This was another one of the Pinot Noir wines I tasted that I adored. No surprise I love Etude Wines. 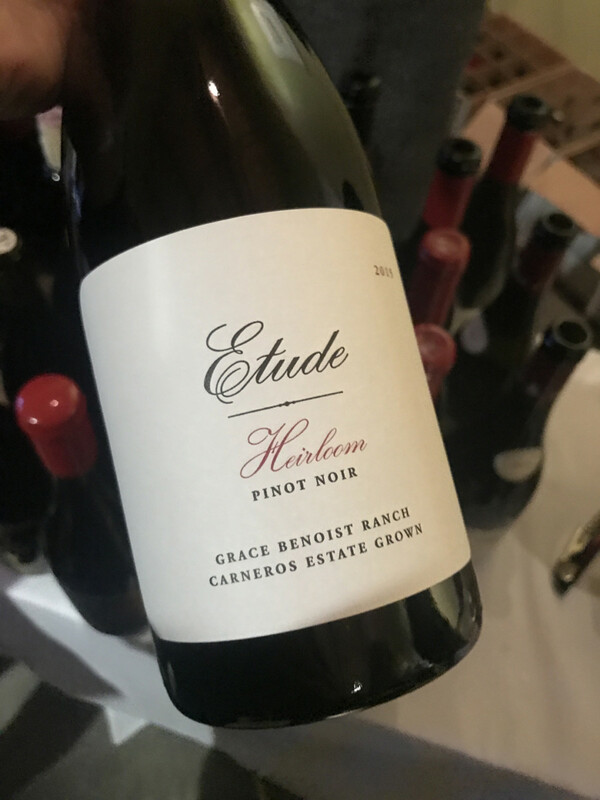 Read more about Etude Winery here and some of my other favorite Carneros Wineries in my Top 10 Carneros Wineries here. 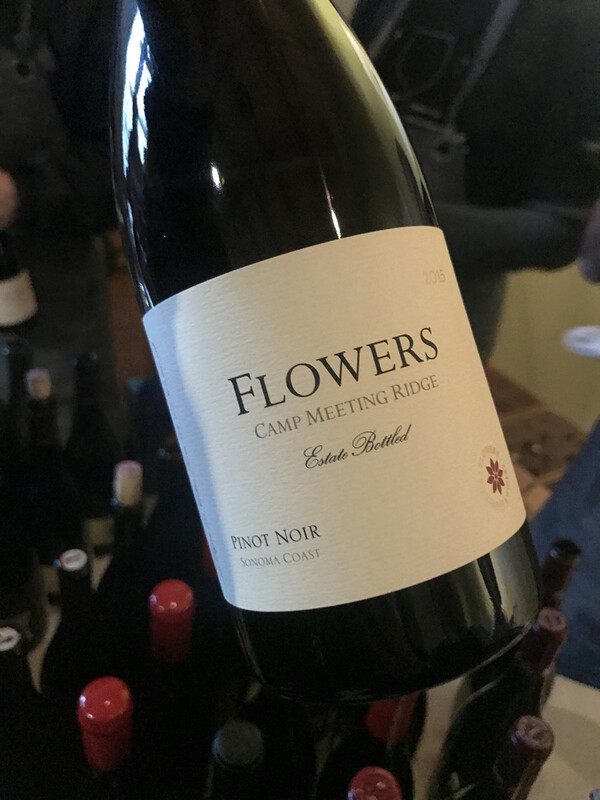 One of the most delicious Oregon Wines I enjoyed during the event. 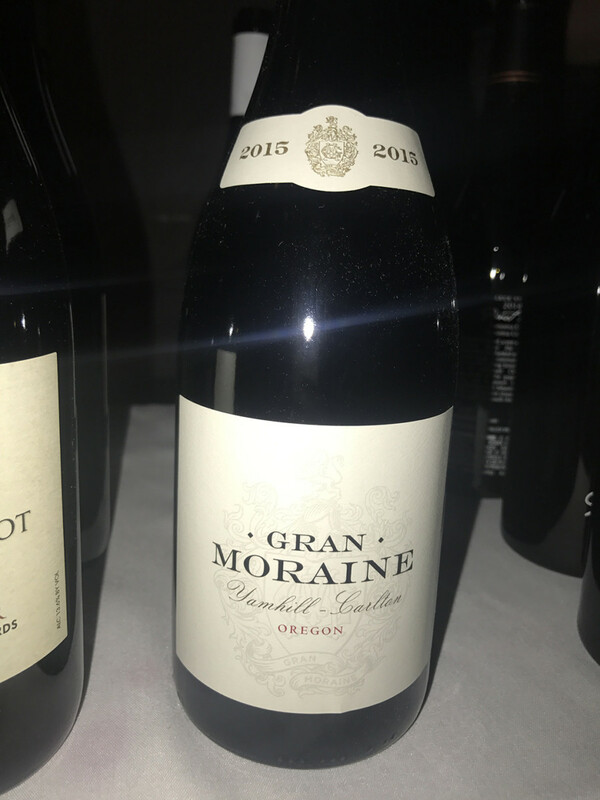 I tasted Grain Moraine a few years ago at The World of Pinto Noir and fell in love. 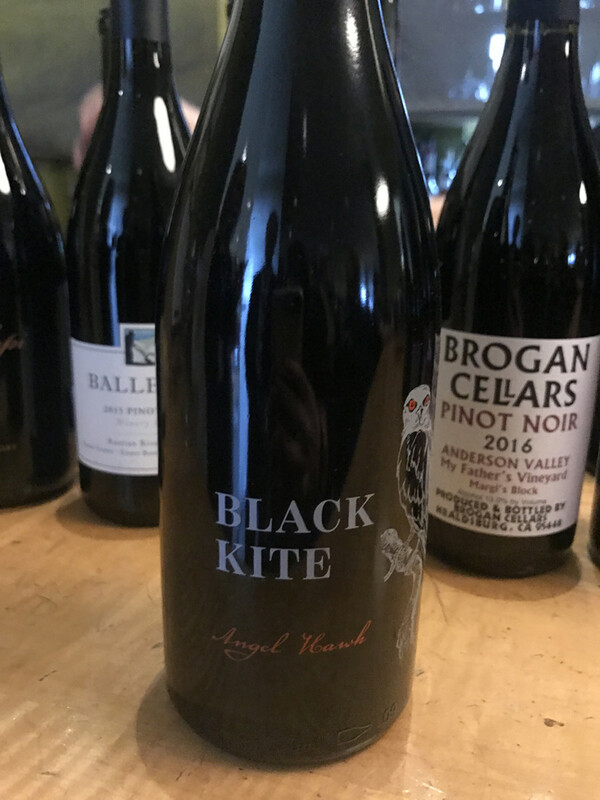 These are very beautiful, delicate wines that any Pinot Noir lover should know from the Yamhill region of Oregon. 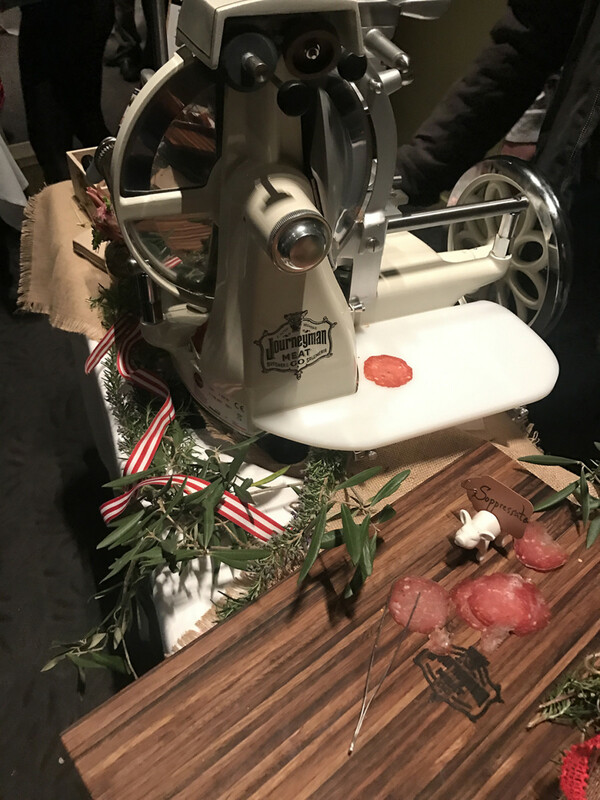 Another incredible culinary experience I had at the event was meeting the Journeyman Meat Co. team a new Salumeria, Butcher Shop & Wine Tasting Bar in downtown Healdsburg, located next door to Single Thread. The team was incredible and I visited the shop the day after the event and fell in love! 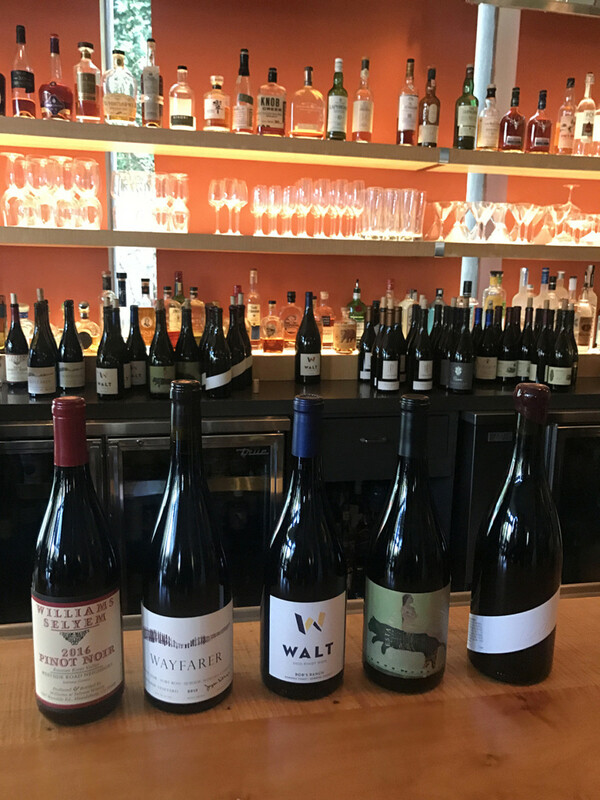 Some more of my favorite Pinot Noir wines I enjoyed at the event. 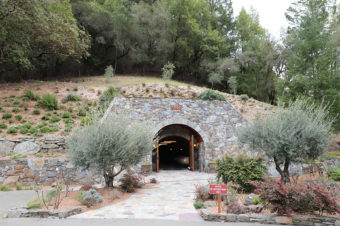 Read more about Williams Selyem Winery here. 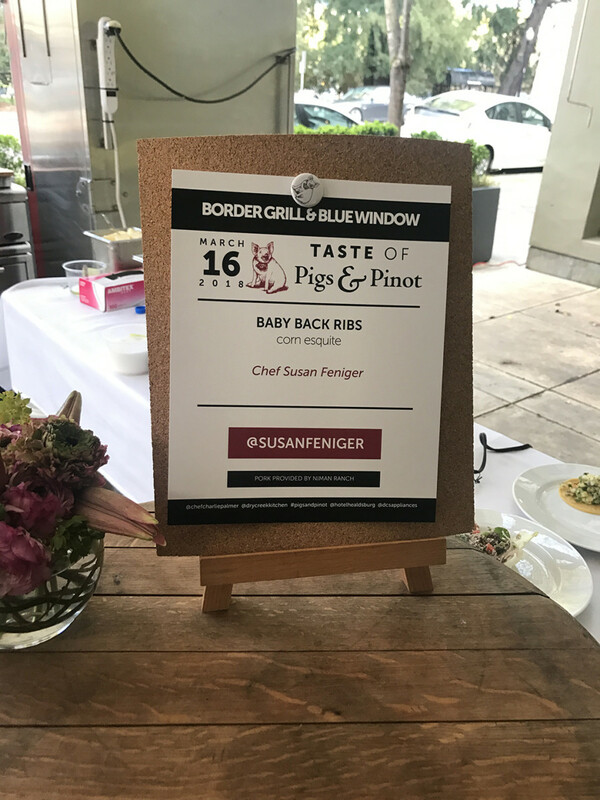 Another incredible dish we enjoyed from Chef Susan Feniger. These tacos were delicious! Another winery I adore. Read more about Black Kites and their spectacular Anderson Valley Vineyards here. 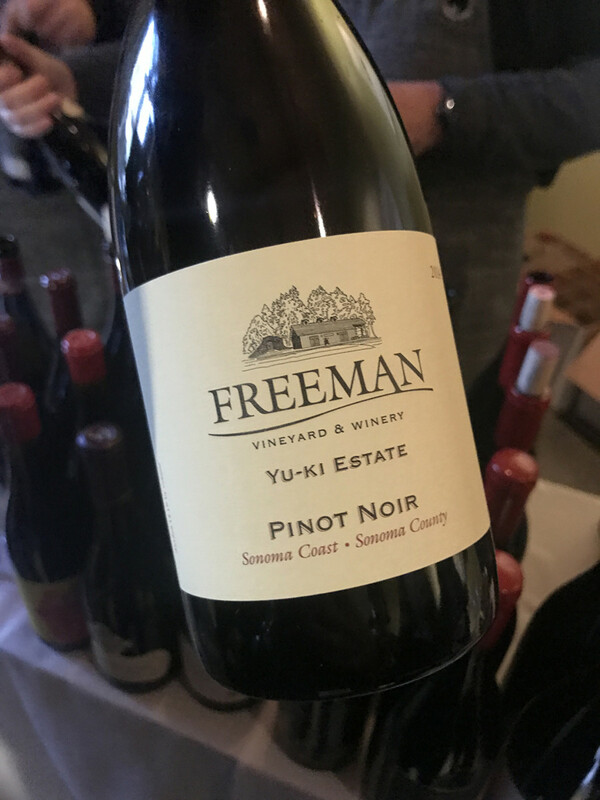 This may have been the first time I experienced Freeman and I adored this Pinot Noir. I kept going back to taste it time after time. 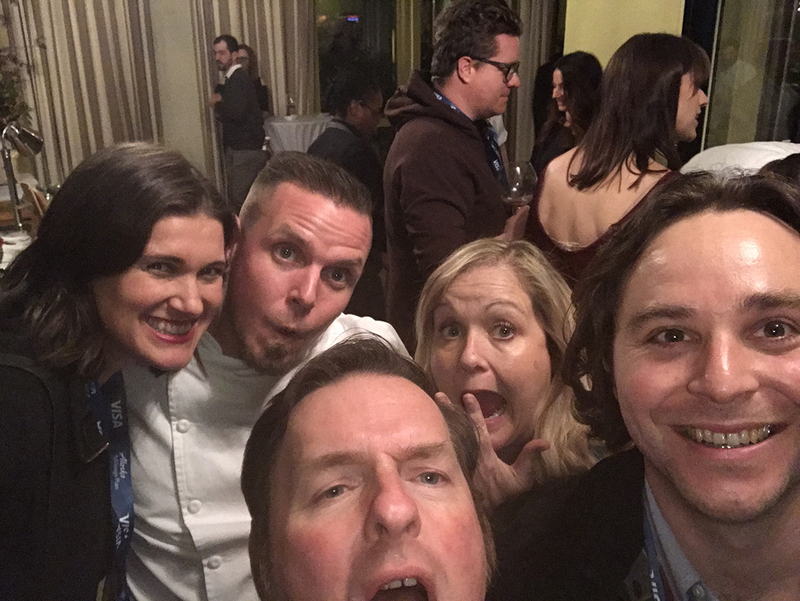 It would not be a wine event without a selfie with Sawyer Sommelier and a few others at the event! 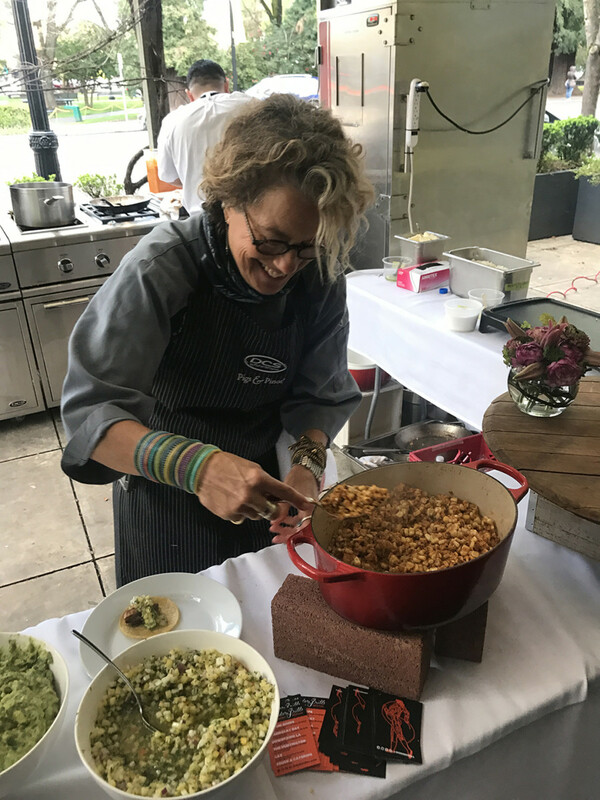 Thanks as always to Chef Charlie Palmer and team for hosting me to this incredible event. 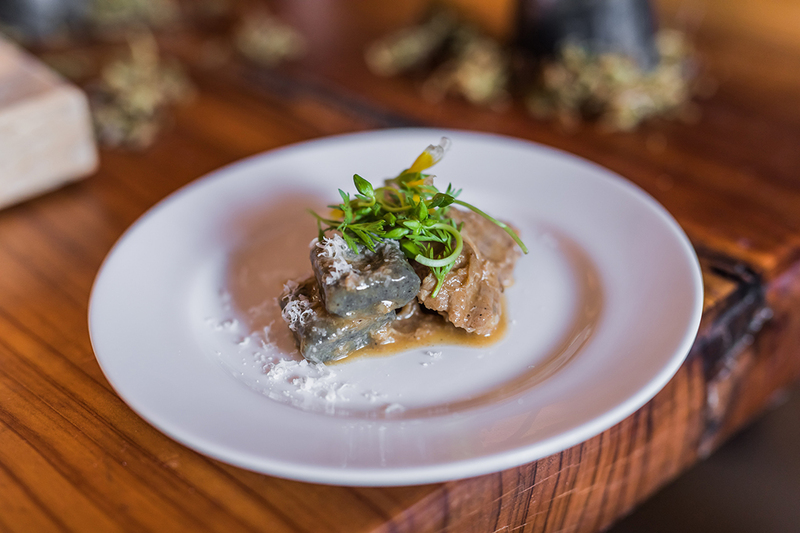 It’s one of the most amazing culinary and wine events of the year and always such a special evening!